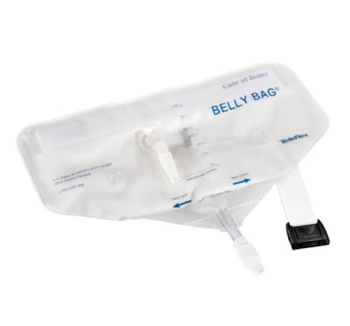 Belly Bag 1000mL Urine Bag with 24 Inch Drain Tube Teleflex Medical B1000CT- 1 Each. 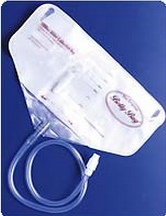 Urinary Drainage bag with 24 inch Coiled Drain Tube. Worn at the waist or Belly by both Men and Women who use foley catheters or indwelling catheters. Can be used both as a leg bag or bedside drain bag. Latex-Free Drain bag can be worn 24 hours a day. Helps improve Mobility, Dignity and Quality of Life for patients. Woven belt fastens Bag around the waist and comes with a quick release buckle. Anti-reflux valve behind the catheter port prevents urine backflow. Features Drain Tube with twist valve that is at the approximate position of the urethra for easy emptying. Users can easily sleep with the bag in place, allowing it to be worn 24 hours a day. 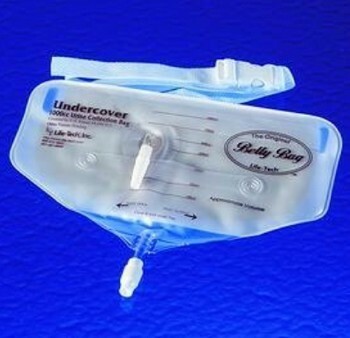 Eliminates the problems associated with leg and bedside bags including inadvertent catheter extraction and leg bruising. 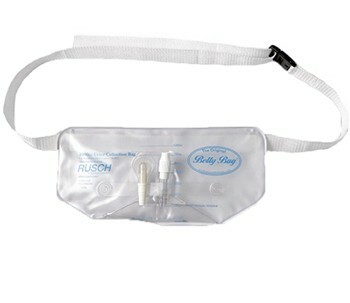 Comes complete and ready to use with easy-to-fasten waist belt, anti-reflux valve, and soft non-woven back panel. Sterile Bag with 1000mL capacity.